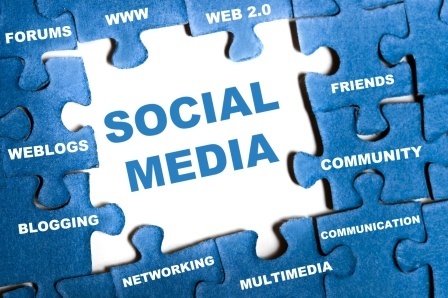 Social Media for Real Estate Agents 101: Why make social media part of your strategy? As seen in this infographic from Mashable, a survey of brand executives across the globe shows that over half a brand’s reputation is now based on its social presence. Additionally, this number is anticipated to jump as high as 65% in the next three years. The greatest thing about learning how to leverage social media marketing is that you get an efficient and affordable branding solution guaranteed to grow your sphere of influence and engage customers and prospects in your business. Are you worried about the permanence of social media posting or afraid you may incorrectly brand yourself and hinder your marketing efforts? Don’t fret - 54% of global brand executives agree that social media rewards outweigh the risks by a margin of 2-to-1. With a little careful planning, you can elevate your brand marketing to true professional standards. One-third of brand executives surveyed believe the quality of social media marketing and engagement affects brand reputation; however, a whopping 84% of these executives admit their own social media marketing hasn’t reached “world class” status yet. This is new technology to all of us. From real estate to racketeering, everyone is trying to figure out how to navigate the maze of social media marketing. Let us guide you along the way, and help you become part of that coveted 16% whose social media interactions really set them apart. At Z57, we can help you take social media for realtors to the next level. Get started today – call us at 800-899-8148 today and we’ll help you hit the ground running.